From the most common titanium semi finished products to the most complex forging, Titalia is able to offer the maximum production quality in really quick times. Thanks to the almost 2,500 square meters property forge, cutting-edge machineries and the experience gained in every production situation, Titalia is able to accept in total safety and reliability all Customers’ demands, both for big project and for small ones. Hot rolled titanium plates thickness may range from 3 mm to 65 mm, while for cold rolled titanium sheets the range is 0,5 to 3,5 mm. They are stocked in the automated wharehouse or in the external area and they are moved with special suction pads, that allow a fast and safe packing, without damages. The titanium finished products comply with the main International standards but, moreover, they also exceed the reference standard values. 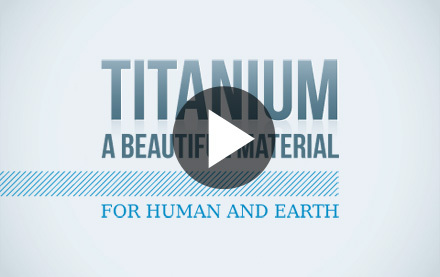 Titalia produces and deals with titanium bars with diameters ranging from 8 mm to 420 mm . roughness as requested by the Customer. Titanium flanges are supplied with dimensions which go from half an inch to 60 inches in compliance with the ANSI/ASME-DIN-EN1092-BS-MSSP-AWWA standards. On request, “metal to metal” titanium gaskets, tie-rods and bolts are also available. Titalia is able to supply any type of titanium forging (from a weight of half a kilo up to 10 tons) and also to produce oversized craftings meeting the dimensional and qualitative requests of the Customer. Titalia can supply titaniu tubes with diameters ranging from 9,6 to 60,3 mm and thickness ranging from 0,56 to 2,77 mm in compliance with ASME/ASTM standards. The tubes can be a good solution for heat exchangers and capacitors applications. Titanium welding wire is supplied in in straight length, spool and bundles with a diameter from 1 up to 3 mm in ERTI 1/2 titanium. Titanium strips have all the same specifications of coils and may be cut at any width, from 10 mm up to 1250 mm, corresponding to the maximum width of the coil they are derived from.